The Social Brands top 100 conducted by social brand consultancy Headstream. 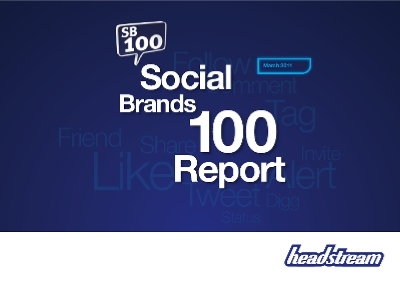 Headstream created a ranking of 100 different brands based on their social activity. To achieve a final Social Brands Score they added the Social Engagement Score and the Expert Panel Scores together.